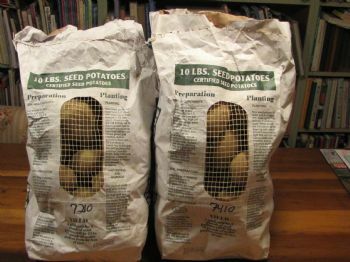 Ten pounds may not seem like a big loss, but lift a ten pound dirt bag in a garden to know it is HUGE. Or dirt covered potatoes as this photo shows. I lost 10 pounds over the last few months, and I feel like it is hard to tell some days. Yet the ten pound dirty potatoes really shows how big that is in size. I also have lost 10 pounds since joining SparkPeople! on your weight loss and success in your goals!